A modern Gaelic love song, ’S tu mo ghaol, from the Bi Beò archives forms the musical centrepiece for Island Voices’ Valentine’s Day message. You can hear it above without a transcript, or if you would like to read the words while you listen you can try this new Clilstore unit. For a local visual celebration of the same sentiment we still find it hard to beat this message in Russian, beautifully crafted out of Grimsay scallop shells at Poll nan Crann in Benbecula. The story behind it is quite touching, and you can read all about it in this Facebook thread. On the 25th of November the TOOLS project was presented to the teaching staff and students of the Department of Linguistics and Literatures. 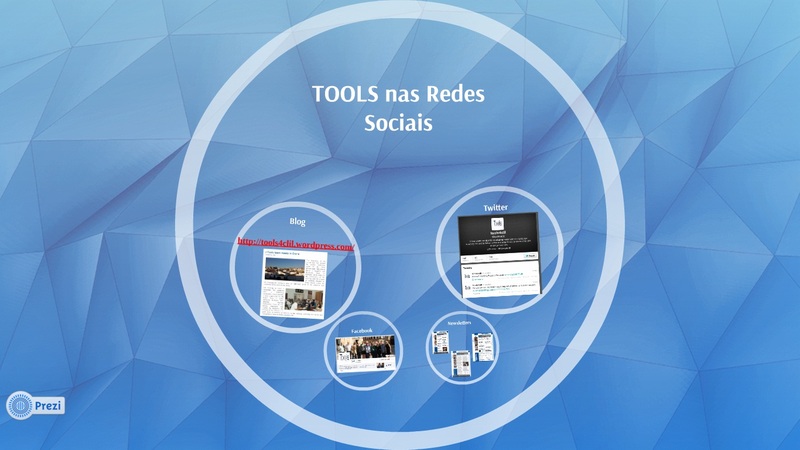 The emphasis was set on the Tools consortium, on the objectives, on the social networks and on the results. Newsletters were offered to participants, encouraging them to register online in order to receive the newsletter on a regular basis. The results were given particular place on this dissemination activity. It was given a brief overview of Clilstore, wordlink and multidict. The manuals and guides were also given the floor, displaying the Portuguese version of each of this guidebook. As the eBook had just been made available there was also a demonstration of the eBook PT version on this dissemination activity. Finally, four units were chosen in order to demonstrate how the Clilstore online system operates: Knee ligament anatomy (English – A2), A warm embrace that saves lives (English – B1), Tuésmais forte (Portuguese – A2) and Monteringaf et britiskelstik (Danish – A1). The participants, both teachers and students, were very interested in using the units presented, and others available on Clilstore. They highlighted has strong key points: the fact that is free, the fact that is online, the easiness to work with, the online dictionaries. 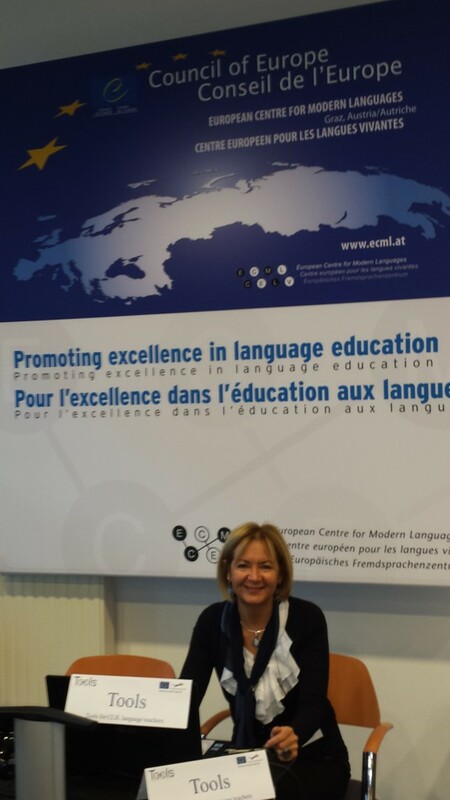 European Centre for Modern Languages (ECML), a department within the Council’s Directorate General IV- Education, Culture and Heritage, Youth and Sport-, is implementing a project “Language for work”, one objective of which is to create a network of language professionals working in the field of developing skills of migrant workers, and other teachers related to teaching professional language at different educational levels. The network held a meeting on the 5-6th of December, 2013 in Graz, Austria, at the headquarters of the ECML. The network was established last December and this was its second meeting. Language teachers, from state and private sector gathered to share their experience and methodologies of teaching professional language and to learn from each other. The agenda had foreseen time for network members to present the results of their work, including, projects, outcomes of research and other activities. Or simply to provide practitioners’ view on the issue. 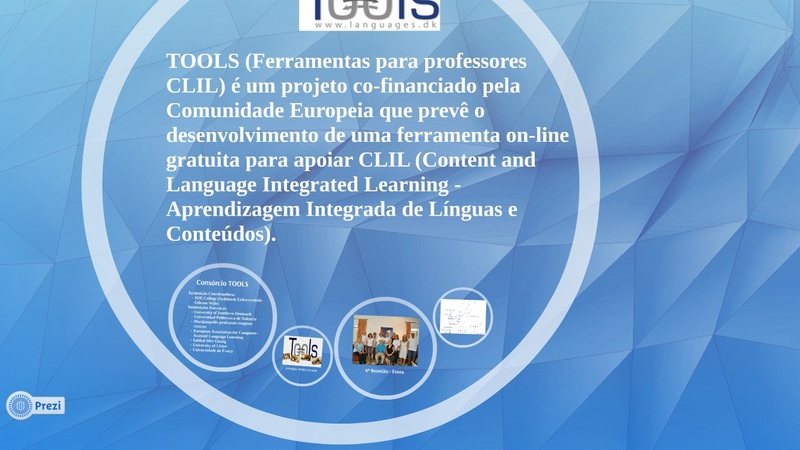 Rasa Zygmantaite, a member of Tools project team, who is also a member of the Language for Work network, participated in the meeting and presented Clilstore and the Tools project. The time, allocated for the presentation didn’t allow the teachers from the network to register and immediately create their own units during the workshop, however, all the 35 CDs with audio files on how to create your own unit in English (+ Scottish Gaelic, Irish Gaelic, Lithuanian and Portuguese), that were offered for the workshop participants, were distributed in less than five minutes! The participants of the network showed great interest in the tool, especially its ability to work with other languages than those, using the Latin alphabet, i.e. with all characters of UTF8, which is very important when you work with migrant workers from different parts of the world. The ECML network “Language for work” is finalizing its website, and the participants’ task during one of the workshops was to discuss the functionality of the website in order to make it as attractive and user friendly as possible and really used by language teaching professionals from the European Union and non-EU countries. Members of the network will be able to share their findings and methodological material in the “Library” section of the website. And not only that- we can link our project to this network to facilitate the access of the finding of the Tools and other http://www.languages.dk projects for the big family of language teachers. Are you a language teacher interested in using the modern technology as a tool of language learning? Does lack of support and knowledge prevent you from meaningful use of ICT in class? Do you know what CLIL and CALL stand for? Are you familiar with „Task-based learning“? Nowadays, there is a large number of teachers who want to use innovative methods. However, they lack information and effective tools which would help them to implement ICT and the digital video. The POOLS project addressed these needs by creating materials and tools for Computer Assisted Language Learning method. 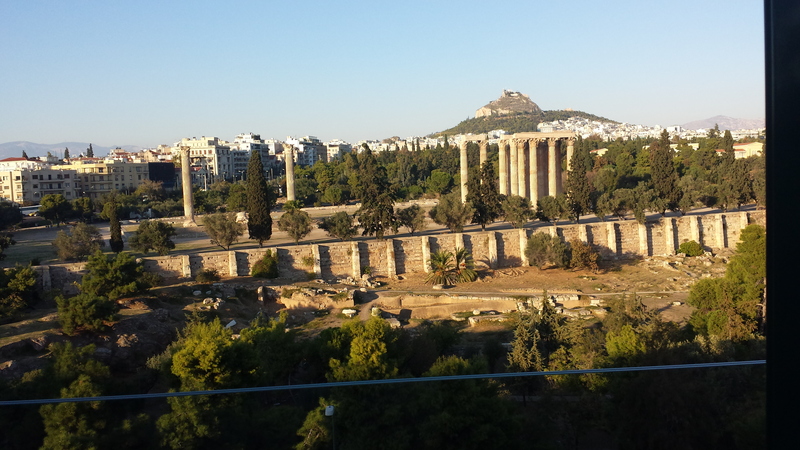 On the 23-26th of October, 2013 Tools project was presented at an EfVET (www.efvet.org ) conference in Athens. The theme of the conference “The College that Works” attracted more than 250 participants from all over Europe as well as several non-EU citizens from such countries as Turkey, Russia, Azerbaijan, Hong-Kong, Japan etc. 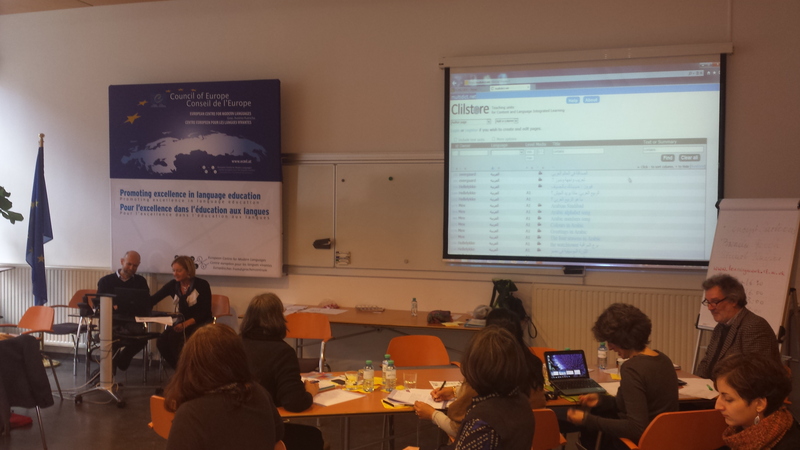 Antonio Silva Mendes, Director for VET and secondary education from DG EAC was among the speakers of the conference. 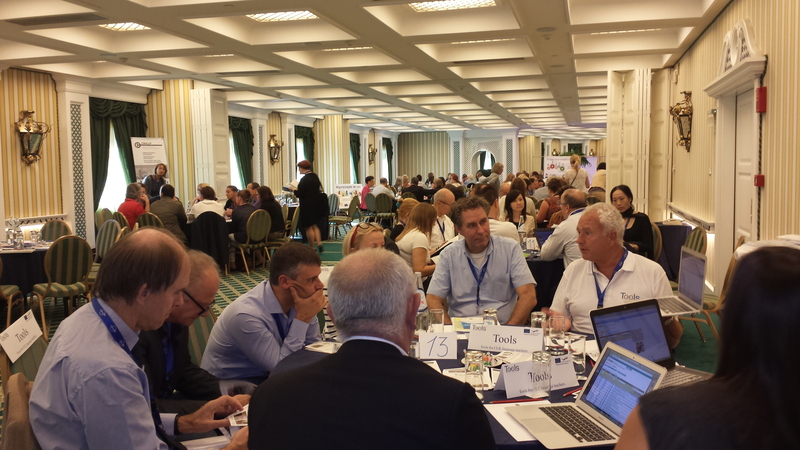 As usual, the conference was very keen on sharing the good practice of the EU funded project, dedicating half day of the conference agenda to a special session called “round tables”. Here participants of different EU funded project can present the outcomes of their work to other conference participants. 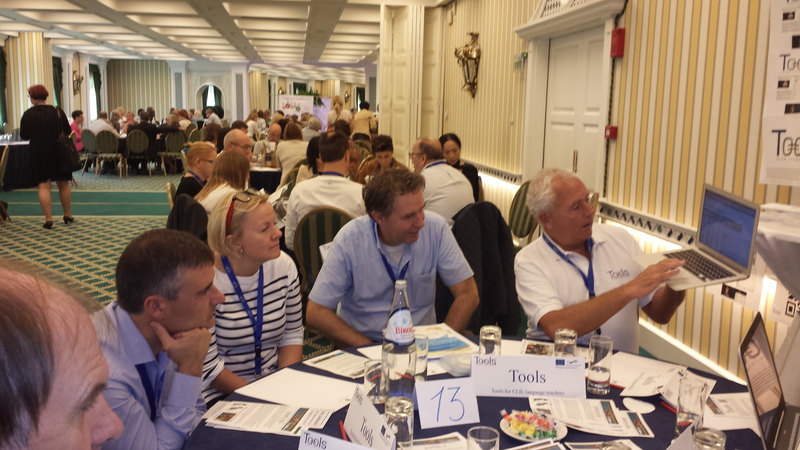 Kent Andersen, Tools project coordinator presented the project together with two other members of the Tools team in two half an hour sessions during the main time of the conference agenda and attracted a big number of the audiences during both rounds. The project and the tool were further discussed among the project participants and the conference delegates and the feedback was more than positive. E.g. a principal from a school in Germany said he will make sure language teachers use the tool, as the school is very keen on IT and innovation in teaching. Other teachers were prepared not only to use this during their classes, but for their own language learning during their free time. The possibility to link the Multidict with various WebPages including famous news channels make it easier and more attractive to teach politics and history, said another teacher from Denmark. 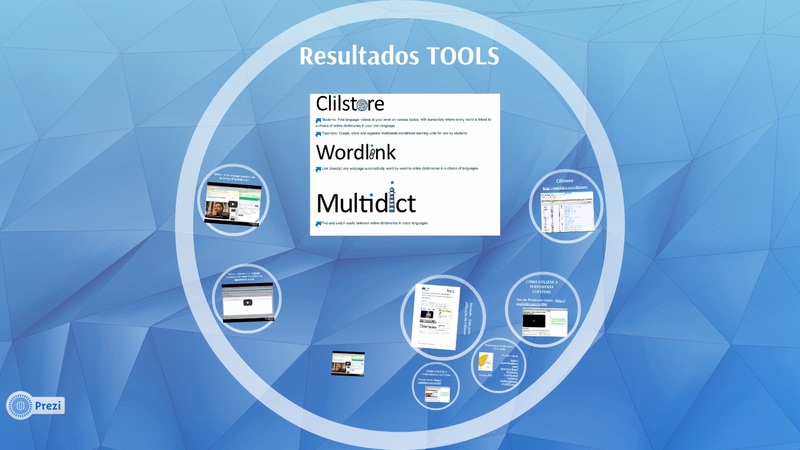 This year the project could offer the finished web based tool- the Clilstore, which is connected to Multidict and Wordlink. The teachers were eager to try the tool themselves; however, due to a bit too slow internet it was not possible to do it directly during the roundtable workshop. The participants took DIY videos which will help them to try the tool in their normal surrounding s and we look forward to new users in the Clilstore. Here is Caoimhín Ó Donnaíle’s recent presentation at a national conference for Gaelic teachers – An t-Alltan – speaking about his work for TOOLS on Clilstore. Seo an taisbeanadh a bh’ aig Caoimhín Ó Donnaíle o chionn treiseag aig co-labhairt nàiseanta airson tidsearan. Tha An t-Alltan air a bhith a’ ruith o 2008, ach b’ e seo a’ chiad chothrom aig Caoimhín an obair a tha e a’ dèanamh airson Pròiseact TOOLS air Clilstore, Wordlink, agus Multidict a shealltainn. Cha robh aige ach 20 mionaid, ach rinn e an gnothach glè mhath – le “plug” airson Guthan nan Eilean san òraid aige cuideachd. Taing mhòr, Chaoimhín! Here is Caoimhín Ó Donnaíle’s recent presentation at a national conference for Gaelic teachers – An t-Alltan – speaking about his work for TOOLS on Clilstore, Wordlink, and Multidict. He only had 20 minutes but still managed a plug for Island Voices….